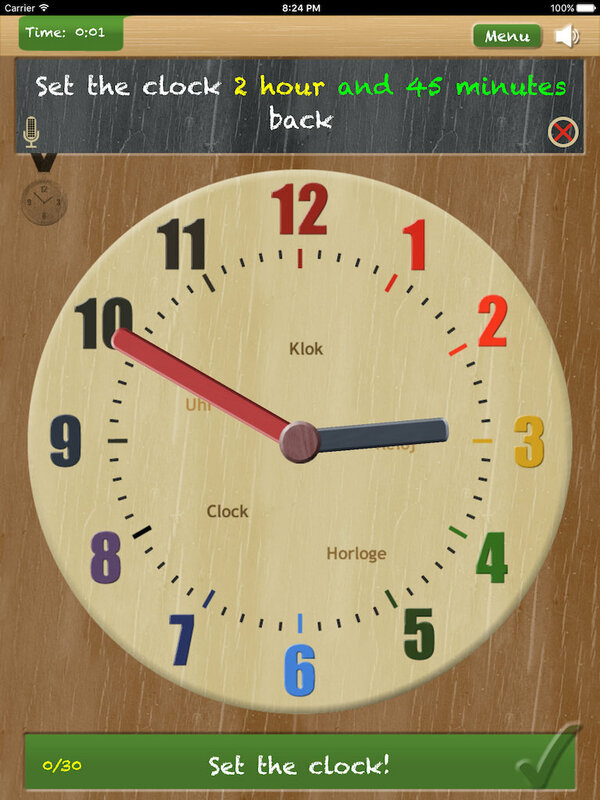 Using Set the clock to learn to tell time is both fun and educational! 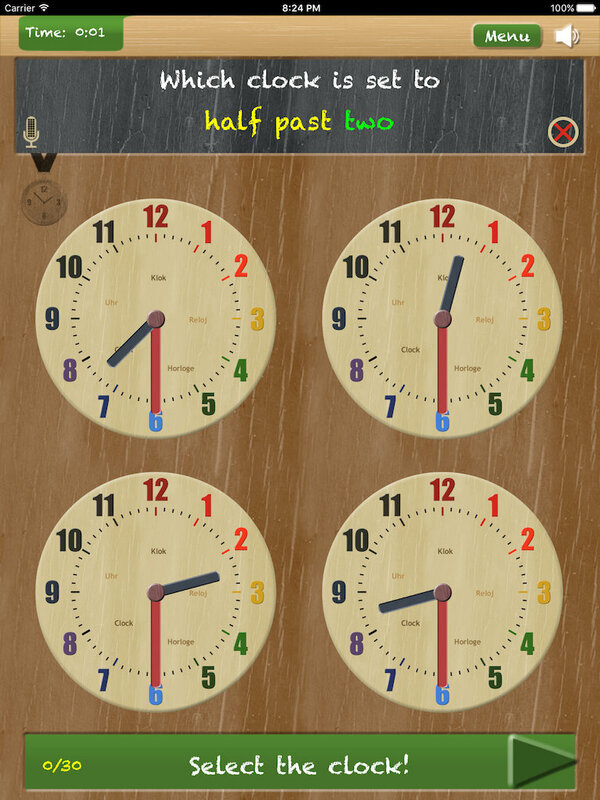 ‘Set the clock’ helps your child to learn to tell time and revives old times by reintroducing the wooden clock on the iPad, iPhone or iPod Touch! Also very suitable for in the classroom! 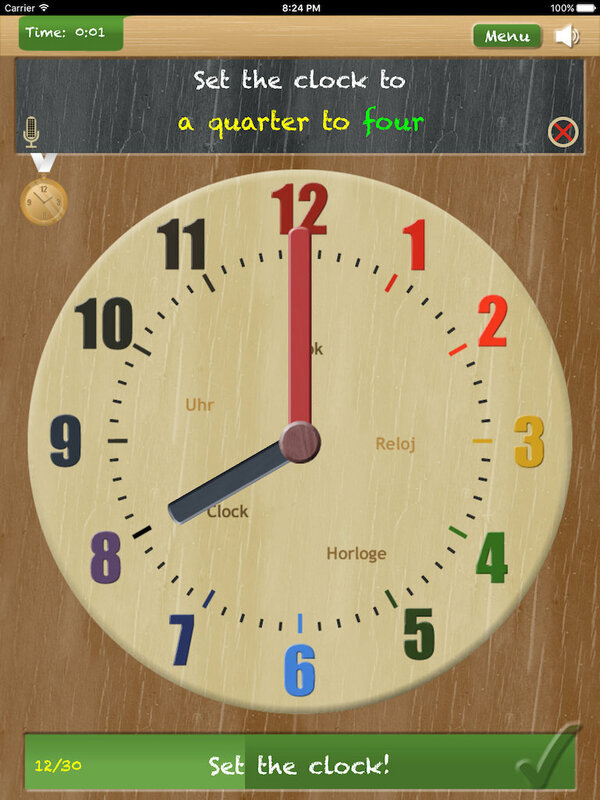 Set the clock was developed with the help of a teacher in child education. 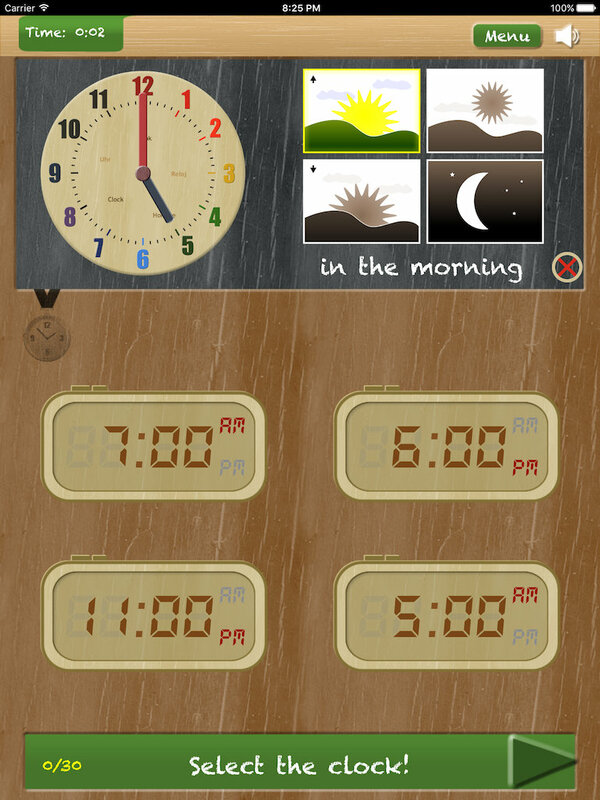 That makes it one of the best Apps for teaching telling the time. It supports multiple game types for both the anolog and digital clock! Analog en digital clocks in 9 game types! Win medals on all levels and show you're a real time-telling-champion! 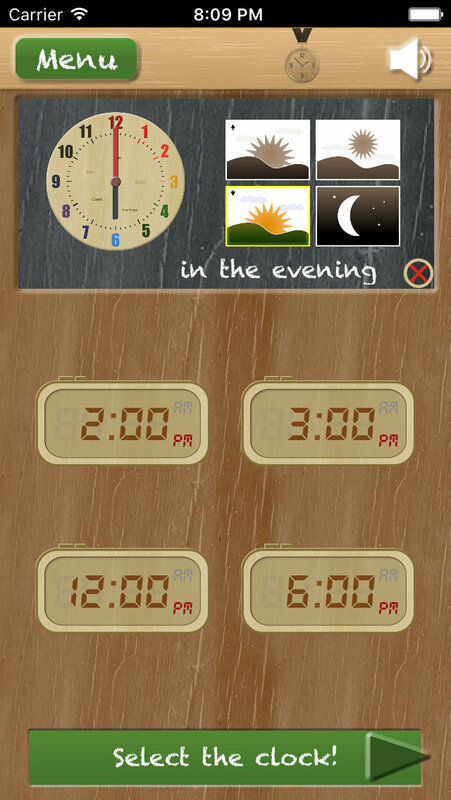 "Set the clock’, ‘Tell the time’, ‘Adjust the clock’ and more! 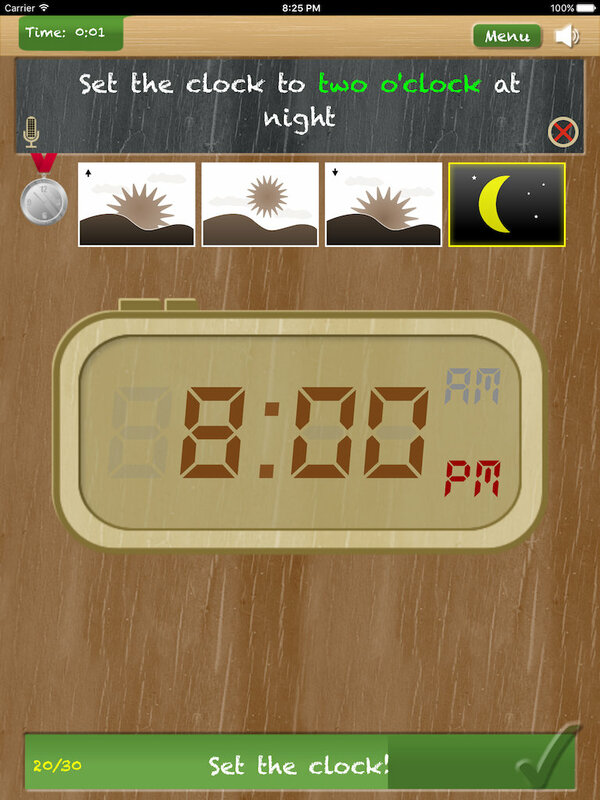 The best app for telling time! © 2017 Frank Guchelaar. All rights reserved.